Finally a day of sunshine here. A little chilly but that is to be expected since we went down to 32 degrees last night. I sure wish I knew where spring is hiding out. I'm here to share this adorable little Tea Pot this with you. I know the colors are not what one would normally use. However, my New Years resolution was "Not to make anything that did not have a purpose". So I made this to match my craft room and will use it to store cotton balls in. I love it. What say you? This is ADORABLE!!!! I love it!!! Have a great day. It's as perfect as the designer that put it together...well done my friend! Have a creative week! This is awesome Nana! Great paper choice and love the flower! The distressing gives it a great look to! 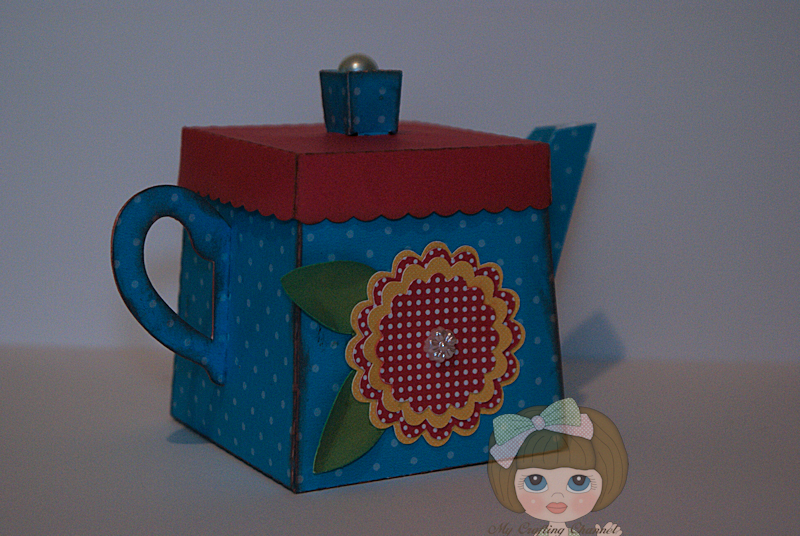 Your teapot is adorable and I love the colors! I absolutely LOVE it!! I would probably hide my candy stash in there....shh!! 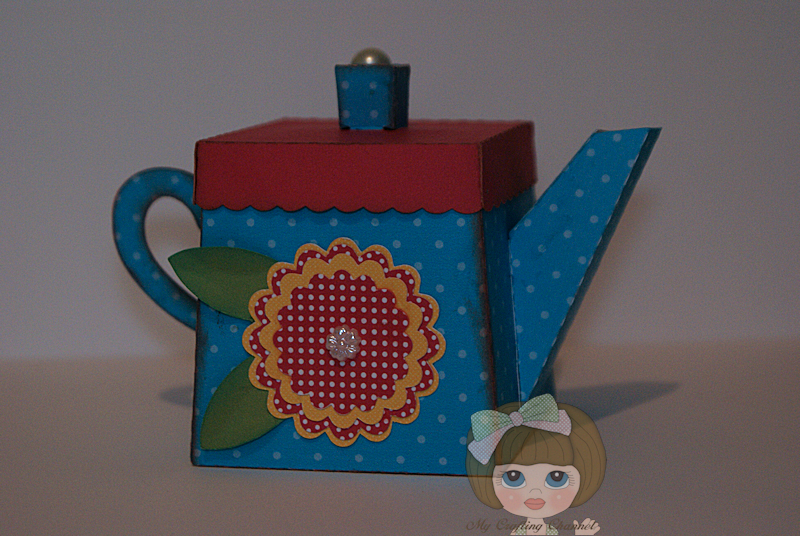 Love the tea pot, its super cute:) Great storage container. What a lovely little tea pot! Your cotton balls will be very happy in it!